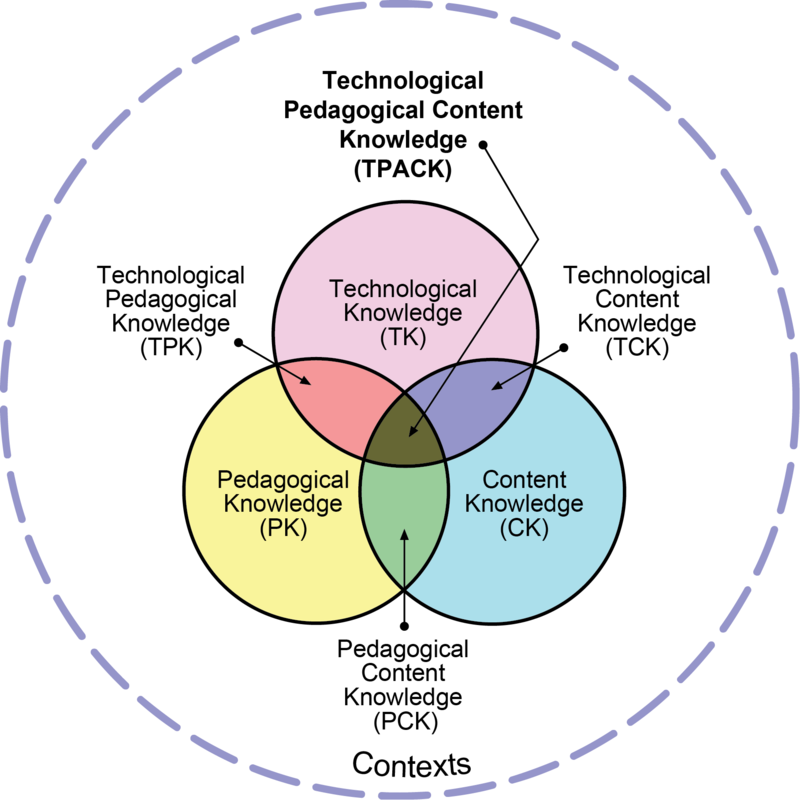 This week I had a chance to spend some time thinking and learning more about the TPACK (Technological Pedagogical Content Knowledge) framework, created by Dr. Mishra and Dr. Koehler (2006). You can watch this video for an in-depth overview of the model and here’s a quick two minute breakdown of the model. I had to do some “cooking” with TPACK this week to experience the need to repurpose a tool, as we often do with technology to use it in the classroom. I asked a friend to randomly choose one kitchen utensil, one plate, and one bowl and then pick a number 1-5 that corresponded to what I needed to make. I ended up with the task of cutting cheese with a spatula! I discovered that the handle was probably more effective for really cutting up the deeper, harder parts of the cheese while the spatula itself could work for shaving off messy chunks. You can see my experiment in the video below. While trying to complete my cheese task, I thought about how difficult work and learning can be when we are not using the right tool. I think it is easy to get caught up in wanting to use a specific tech tool because it is new or looks cool and we forget to assess whether it will really serve a valuable purpose in supporting our pedagogy and the content students are learning. At the same time, having to repurpose a spatula reminded me of how important it can be to think outside of the box and get creative. I want students to develop a sense of which tools might best help them learn and also experiment with using technologies in ways that they were not originally designed to be used in hopes of hacking/facilitating the learning process.